Having started in 1969, the Structural Steel Design Awards are this year celebrating their 50th anniversary. In the fourth of a series of articles, NSC looks back at the 2000s. Following on from last month’s look back at the 1990s, in this issue we highlight the 2000s. 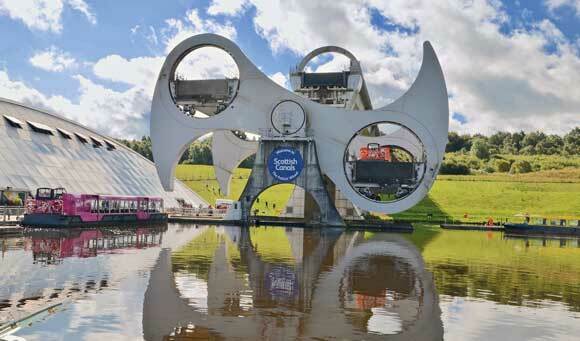 Two examples of this decade’s Award winners are the Falkirk Wheel (a winner in 2002) and The Wellcome Trust Gibbs Building in London (a 2005 winner). 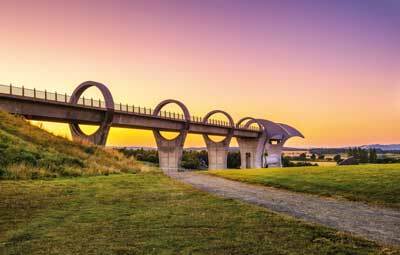 Weighing approximately 1,400t without water, the Falkirk Wheel is a unique machine that raises and lowers boats in a rotary motion, connecting the Forth and Clyde Canal with the Union Canal. The wheel concept consists of two arms fixed to an axle. The end of each arm forms a ring within which two gondolas rotate. The fact that the main structure is a continuous rotating machine means that the principal stresses within the majority of the rotating structure fully reverse each cycle of the wheel. Additionally, as the gondolas are supported on four wheels within each arm ring then the rolling loads generate four load stress cycles on the gondola rail support structure every revolution. These fatigue limitations dominated the arms and axle structural design. To accommodate these high fatigue cycles a combination of bolted and welded construction was adopted. This allowed the ring beam supporting the gondola rail to be a compact construction with the beam diaphragms bolted to the flanges and only welded at the mid third of the beam webs. The structure, including the gondolas, was designed to eliminate all site welding and facilitate the full works trial erection of critical elements. The wheel was delivered to site by road in some 40 major components. The longest element was approximately 21m, the widest 5m, the highest 5m and the heaviest 80t. Working on behalf of the client British Waterways and main contractor Morrison Bachy Soletanche JV, the project’s steelwork contractor was Butterley. With steelwork fabricated, supplied and erected by William Hare, the Wellcome Trust Gibbs Building in London was designed to bring the company’s administrative team together in a single, comfortable and inspiring workplace. 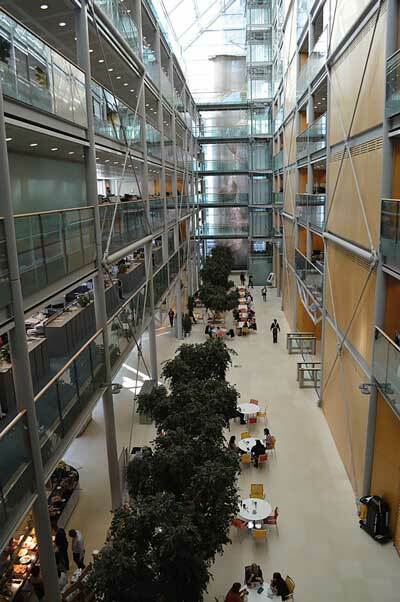 The building comprises two parallel blocks of open-plan, flexible, office space, separated by a 9m wide atrium. 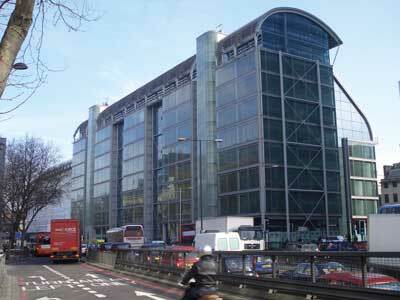 A 10-storey 18m-deep block addresses the Euston Road bypass, while a 9m-wide 5-storey structure fronts Gower Place. Almost entirely clad in glass, the building incorporates a sophisticated series of triple glazed prefabricated façade cassettes, which, while unifying the building through their carefully considered proportion and repeated bay composition, help to reduce solar gain and heat build-up. This component, combined with assisted ventilation through the atrium and high day-lighting levels helped achieve a BREEAM ‘Excellent’ rating. The building is said to be exemplary in its detailed execution, demonstrating the highest order of integration. With no excess, no redundancy and no fuss, the building responds to brief with efficiency and discipline, while producing a working environment that is materially spatial and functionally rich. The SSDA judges said, this 22,000m² building in the heart of London is a most successful outcome of structural and architectural design, with steelwork at the core of the solution.